vacuum test (report TBD): excellent (P<10-7 with cryopumping). Permanent LabView monitoring has found a non-conformity of Alcatel ACC1009 gauge (originated in bad factory adjustment of Pirani). Adjustment done. electrical test (report TBD): done with cold clamp&sample ASIC FPE+DSA+floating PC. Noise <1µV with vacuum pump and Pt100 monitoring on. Molybdenum plate passed reception tests including 1RG-baremux mount , cryostat mount and LN2+cryogenerator cooling. Two month factory delay for the fabrication of the molybdenum plate supporting the detector. 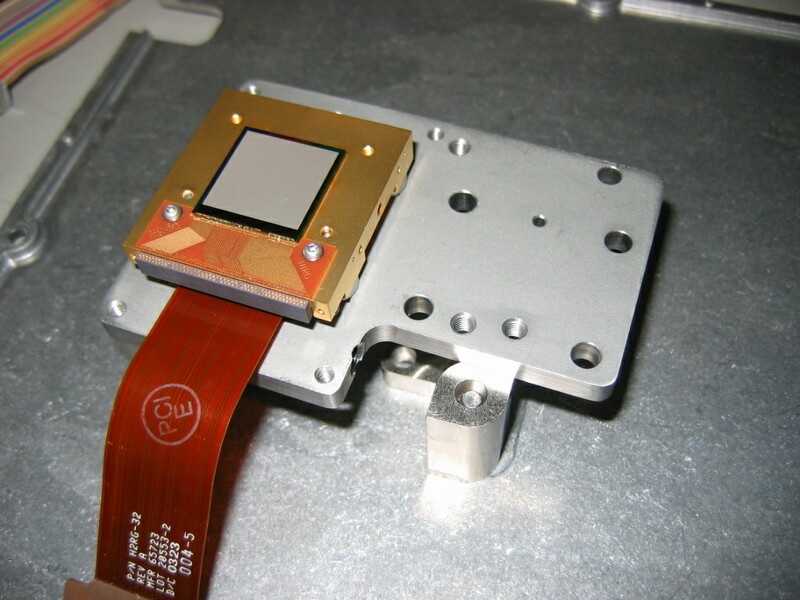 This delay has been used for an upgrade of the thermal screen (Ni coating + inner black paint). The new LN2 transfer line arrived 2 month late just to discover a wrong diameter in the cryostat LN2 inlet. Has been fixed at factory. Action: CCD and IR Dewars were made exchangeable.